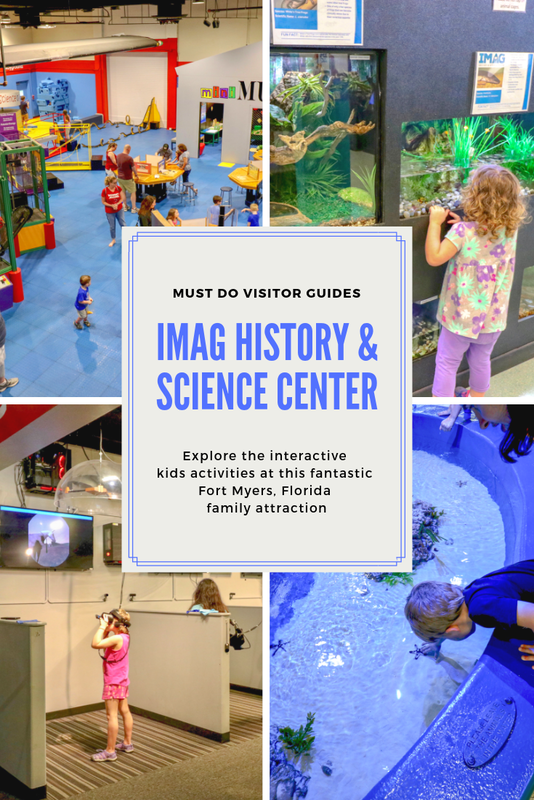 Visitors to Fort Myers’ IMAG History and Science Center can easily spend a full day at this educational fun attraction, especially on a hot or rainy day. 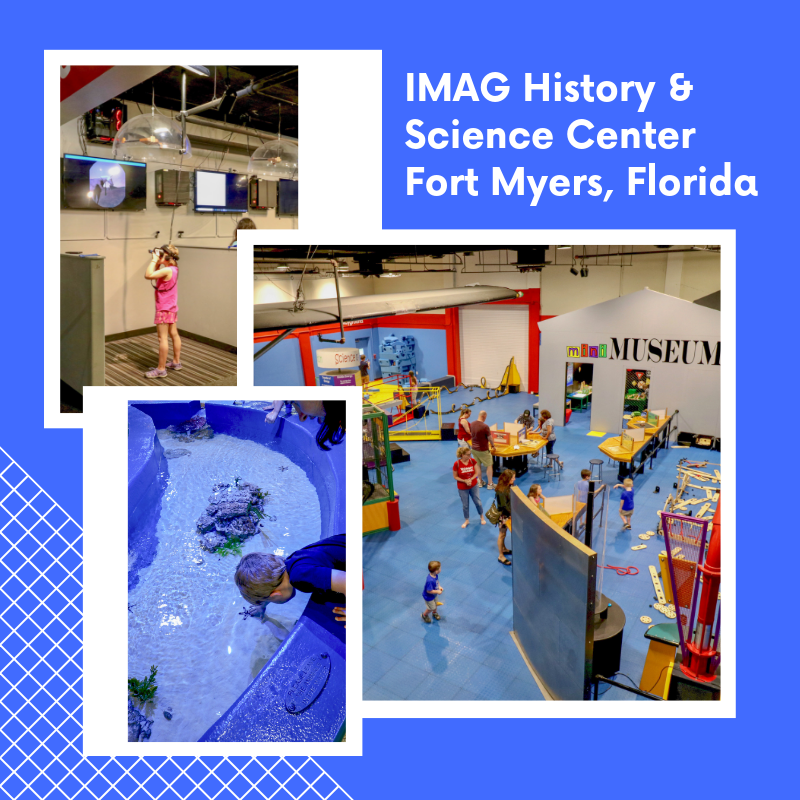 The former Imaginarium merged with the SW Florida Museum of History and has some excellent exhibits, interactive experiments, wildlife encounters, and a state-of-the-art Virtual Fort Myers experience using a special headset. 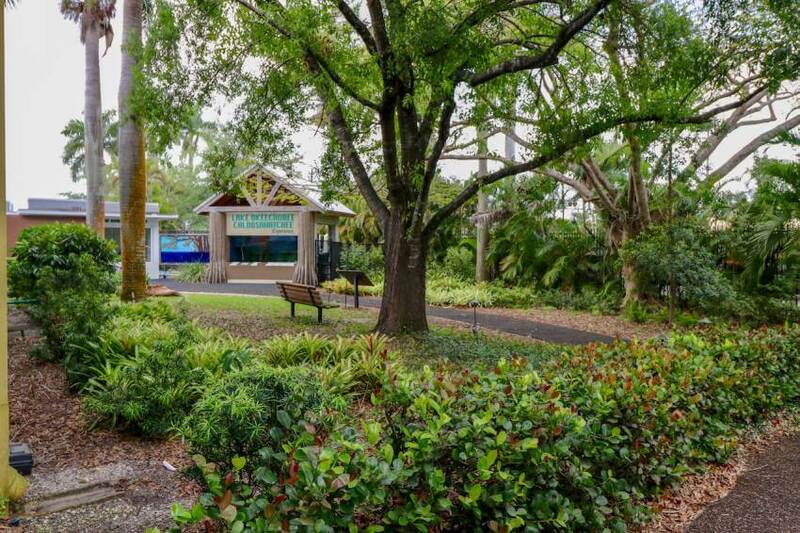 There is also a 3,200-gallon aquarium with a “virtual dive” experience, touch tanks, a 3D theatre and an outdoor area with koi pond and water play feature. 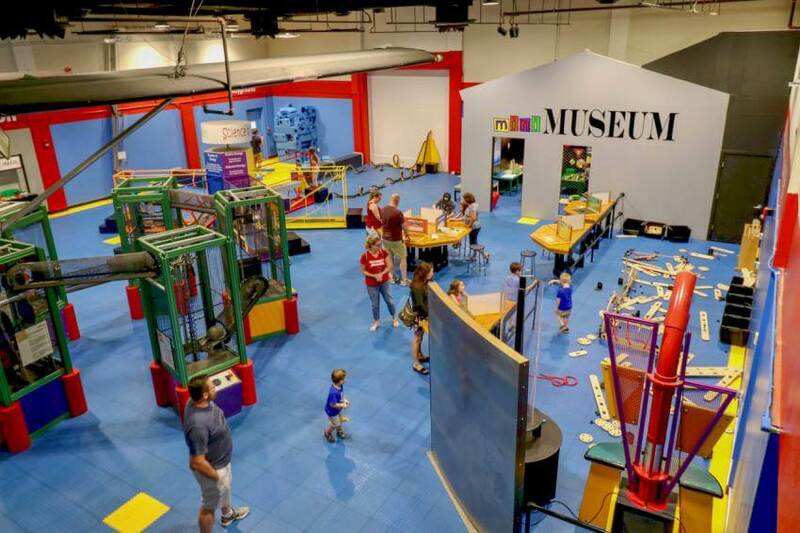 There’s plenty of space for kids to run around and try all the different activities at this fantastic family attraction. 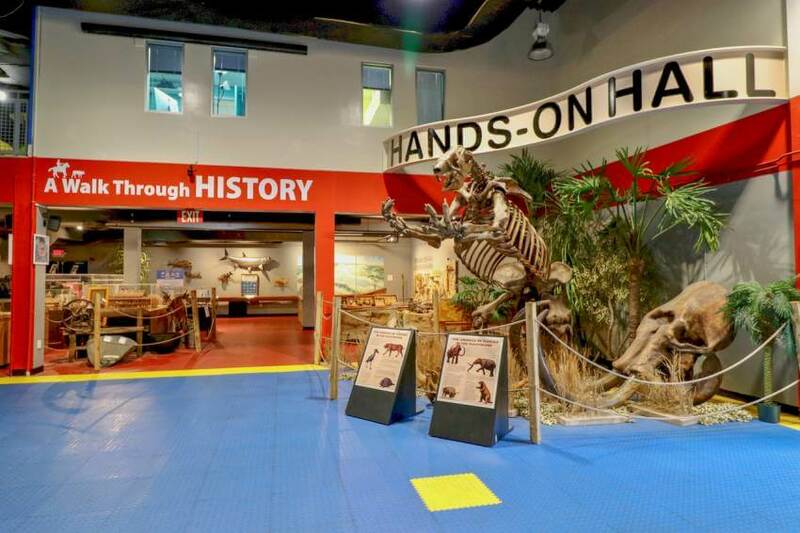 There are blocks for building projects, exhibits explaining extreme weather, and a series of motion exhibits that visitors have to work out in order to get the balls to move around. 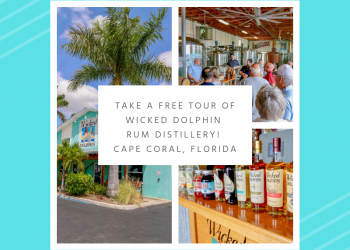 It all sits on a large site at 2000 Cranford Avenue in downtownFort Myers, Florida. History doesn’t have to be boring, as the IMAG exhibits show. Grab yourself a set of tools and brushes and join in the archaeological dig. 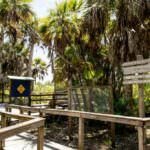 You’ll be amazed at what has been uncovered around Fort Myers including shell tools once used by the Calusa Indians. The Hall of History has some fascinating displays. 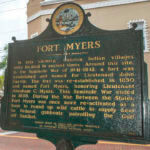 Fort Myers locals will be interested to see the replica of First Street with its shops and bank. 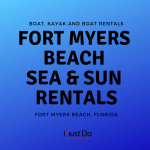 The new Virtual Tour of Fort Myers takes you back through sight and sound to the times of the early settlers. The headset allows you to “virtually” feed a horse, move objects and stand on the edge of the sweeping river. Watching visitors taking part in these invisible activities can be as much fun as trying it yourself! 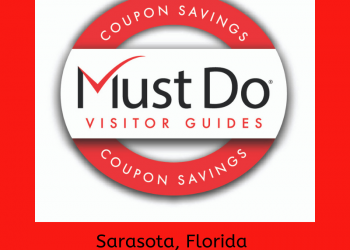 More modern history takes you back to WWII with an interesting display about “B-26 – The lost airmen of WWII” permanent exhibition. 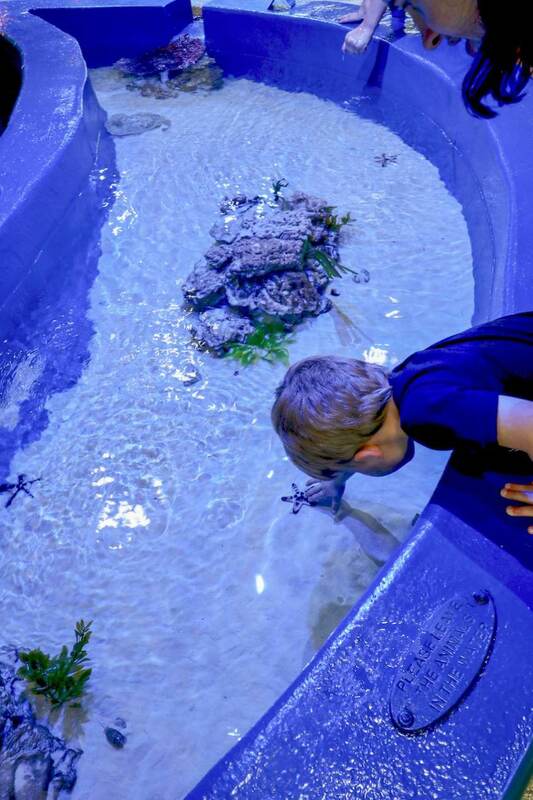 The large Sea-to-See touch pool is an educational display where children can touch and feed stingrays (small additional fee), touch horseshoe crabs, sea stars, urchins, hermit crabs, and other marine creatures. 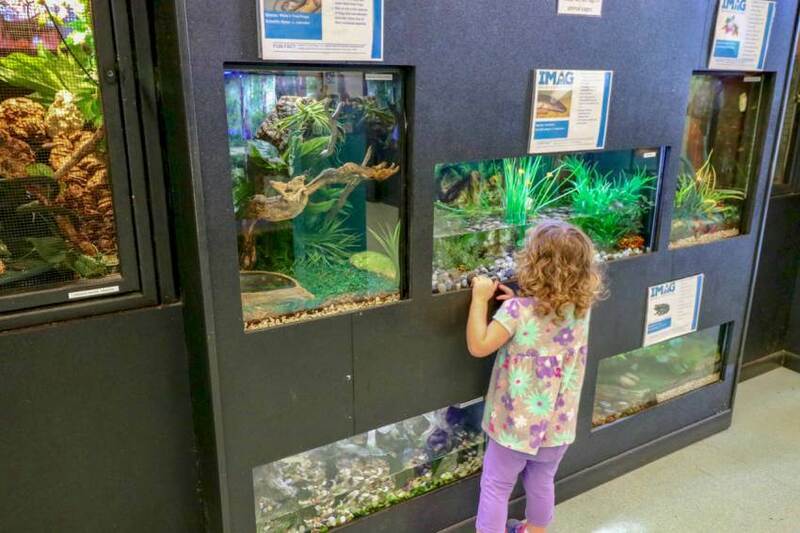 The Living Lab has many aquariums and tanks which are home to a variety of Florida reptiles and animals. 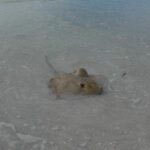 Each day some of these animals are presented by staff during the Live Animal Encounters experience. 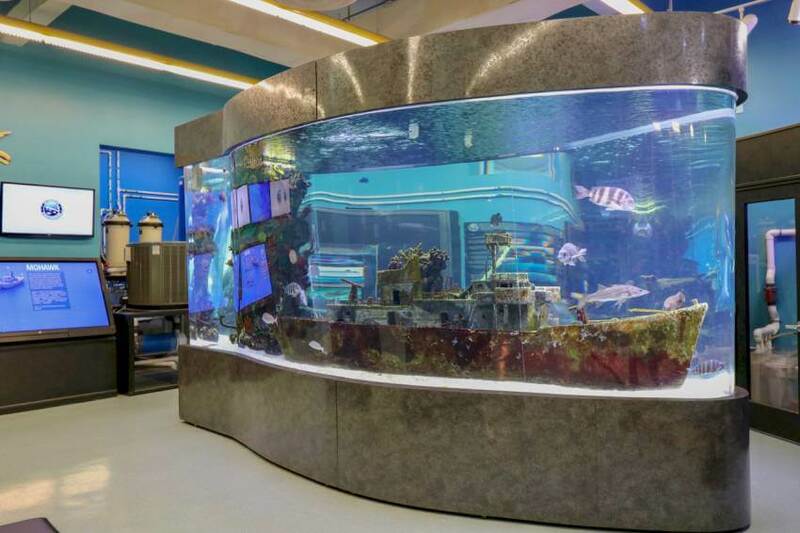 One of the largest tanks includes a replica reef similar to that of the coast of Sanibel Island, complete with a replica of the sunkenUSS Mohawk. 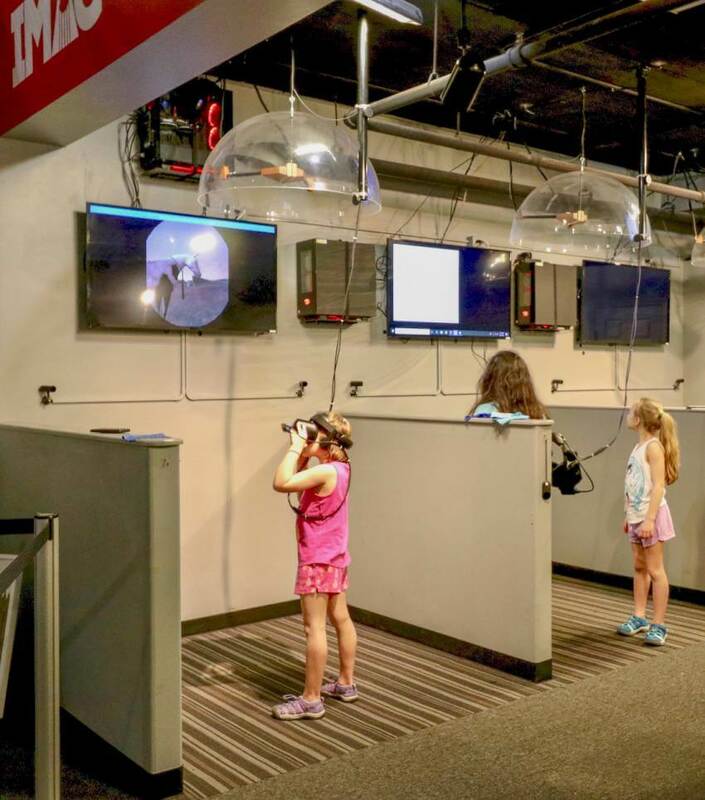 The IMAG 3D movie theater has excellent films continually running throughout the day. Special 3D glasses are provided in the theater. IMAG’s latest movie is Titans of the Ice Age. Learn about the earth 10,000 years before modern civilization when saber-tooth cats, giant sloths, and hairy mammoths inhabited the planet. 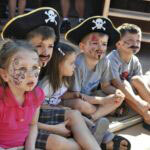 It will capture the imagination of any wide-eyed kid. Other 3D movies include Hurricaneand Return to the Lost Worldwhen a helicopter accident leaves Bob adrift in an alien world. 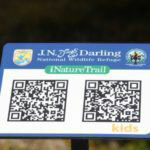 Bring a brown bag lunch and enjoy it in the Backyard Nature zone and make a full day of your visit. Vending machines provide drinks and snacks, and there is an excellent Gift Shop. 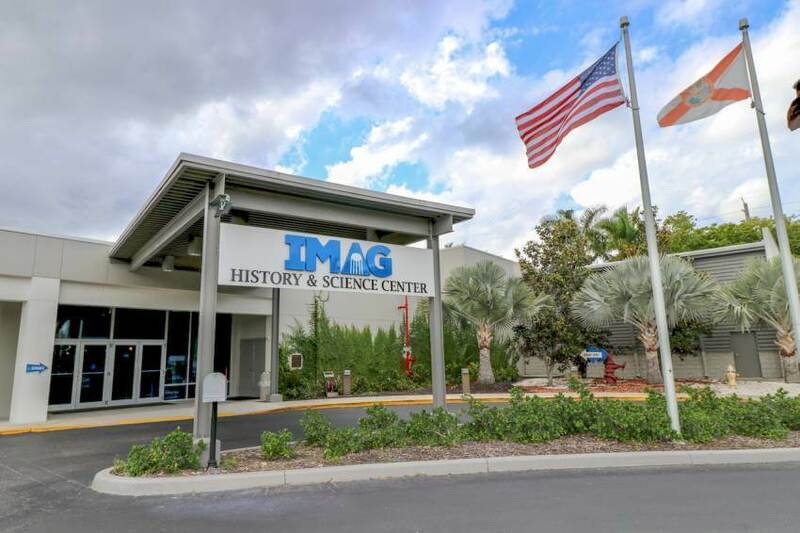 IMAG History and Science Center is open Tuesdays through Saturdays from 10 a.m. to 5 p.m. and Sundays from noon to 5 p.m. It is closed on Mondays.